Why Use Potting Mix in EarthBoxes? Some gardeners prefer to use a commercially prepared potting mix for planting containers of flowers and vegetables. Others prefer to mix their own blend of mediums to create a planting mixture that will nourish and sustain their plants. If you seek to mix your own potting soil, you will need to add a medium to the soil that will improve the drainage capabilities and lighten the soil density. Either coarse sand or perlite will serve this purpose, and you can substitute sand for perlite in any planting medium recipe you find. Gather the mediums you will combine to create the potting soil. An all-purpose mixture includes soil, peat moss, fertilizer and perlite. Another all-purpose mixture includes compost, soil, perlite and limestone. Measure 1 part soil, 1 part peat moss or compost and 1 part coarse sand in the large bucket. When you substitute coarse sand for perlite, make the substitute a straight conversion without changing the amount of sand from the amount of perlite you would have used. Add either 1 tsp. of the granular fertilizer or 5 lbs. of limestone to the bucket. Stir the ingredients thoroughly with the shovel to mix them completely. Obtain information from you local authorities on proper waste removal of toxic substances such as vermiculite. These protocols can range greatly depending on your city regulations. Wear safety goggles, a respiratory mask, long sleeves, pants, sturdy work shoes and gloves when disposing of vermiculite. Spray water onto the vermiculite with a spray bottle to help keep loose fibers from floating around as much as possible. Carefully remove the moist vermiculite and put it into sealable bags, packing it in as tightly as possible but without squishing it down. Seal each bag once it is packed. Remove as much of the vermiculite as possible. Mark the bags "Toxic" or "Warning" with the permanent marker. Keep in mind that the local authorities may have regulations for bagging, marking and disposing of the vermiculite. 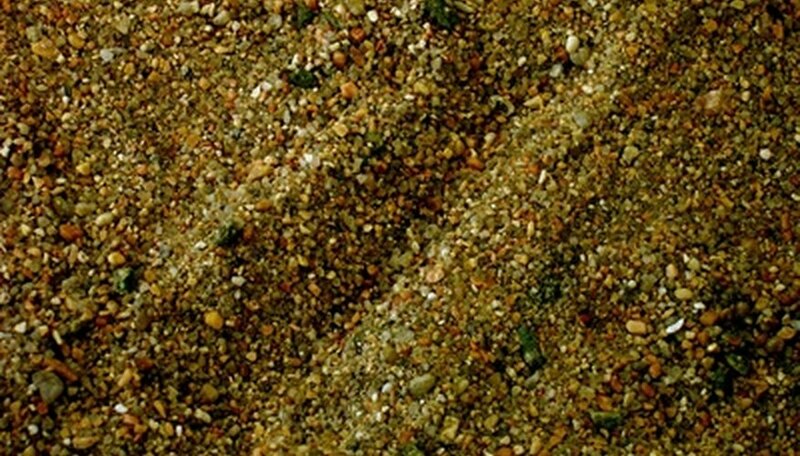 Scoop up any excess vermiculite fibers from the ground, or mop them up with a wet cloth. Dispose of the bags of vermiculite according to local regulations. This may involve taking the bags to the dump or another specified waste location. Herbs in containers should be grown in a soilless potting mix. A soilless mix is made primarily of sphagnum peat moss and vermiculite. Herbs have a particular need for good drainage and with a soilless mix, you can be sure they will never have wet roots. According to The Perlite Institute, no major test result has ever shown perlite is a health risk. Perlite is an inert glass; products made from it are safe for consumers. Pour equal parts of sphagnum peat moss, perlite and vermiculite into a bucket. Add 1/3 tsp. of agricultural lime to the bucket. This neutralizes the natural acidity of the sphagnum peat moss, according to the Northwestern Health Sciences University. Mix the bucket's contents thoroughly and use the soilless mix as you would any commercially prepared product. Measure equal parts of compost, garden soil and vermiculite or perlite. Place the garden soil in a baking dish and bake it in your oven at 275 degrees F for 30 minutes to sterilize it, according to the Philadelphia County Cooperative Extension. Allow the soil to cool after baking. Combine the cooled soil with the compost and vermiculite or perlite. Mix the ingredients together thoroughly, then use it as you would a commercially prepared seed-starter mix. Plant your water lilies in heavy, clay loam soil. Add some aquatic fertilizer pellets to the mix. Don't use potting soils that contain perlite, vermiculite or peat because those lightweight elements will float out of the pot when it's placed in the water. Mix equal parts of perlite, sphagnum peat moss, and sand in a large bucket with a garden spade or shovel. Remove plants from their pots, or other growing location, and place them in the center of a garden pot with drainage holes. Fill pot with the perlite, sphagnum peat moss, and sand mixture. Be sure to cover the plants with the potting mixture only to the point of their original planting depth. Will Cat Feces Hurt Garden Soil? What Are the Dangers of Potting Soil?